Alaska Northwest Books, 9780882405520, 93pp. In July 1923, President Warren G. Harding visited Alaska to drive in the ""Golden Spike"" commemorating the grand opening of the new, federally funded railroad linking Seward with Fairbanks. The Government Railroad had taken eight years and the influence of three U.S. presidents to complete. Shortly afterward, it was renamed the Alaska Railroad. In the eighty-plus years since then, America's northernmost railroad has remained a critical transportation link, a working train as well as a touring train that wends through some of the most fabulous country in the nation. Resplendent in blue and gold, the engines and cars of the Alaska Railroad remain disconnected from other rail lines, set apart on a track that travels north through the wilderness to a dead end near Fairbanks, and south to a dead end at the seaport of Seward. But, oh, what beauty lies between. 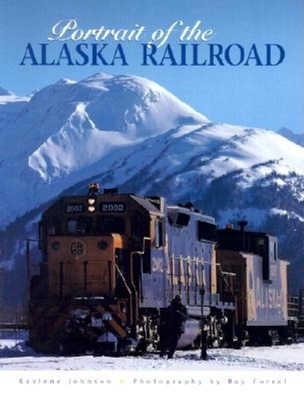 In this lavishly illustrated and authoritative book, the Alaska Railroad rides in the spotlight. Through words and color-rich photos, Johnson and Corral offer an entertaining history of the railroad, the routes, the engines and railcars, the landscape and wildlife, and much more.